There’s never been a more pressing need for strong security software on your PC than today. 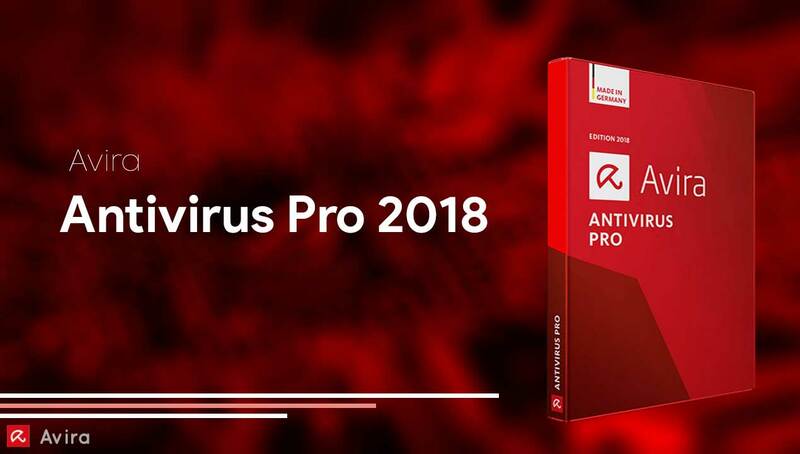 With the ever-increasing threat of malware, ransomware and other lethal malicious stuff just waiting to enter your PC, it’s better to be armed with the best defence. 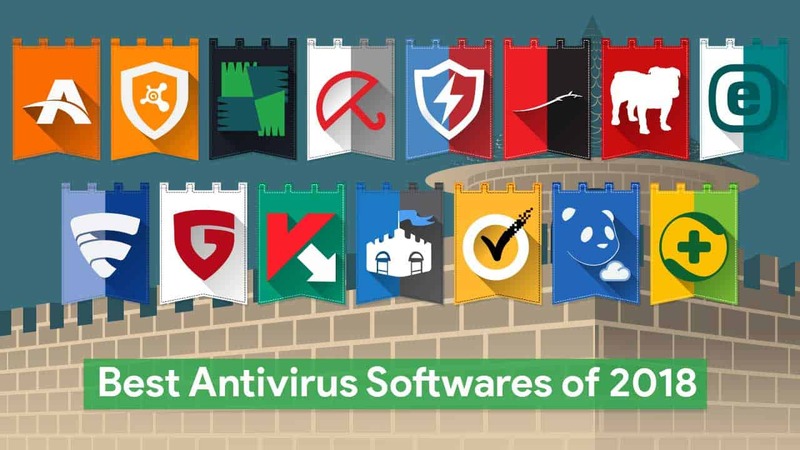 A good antivirus software can be a lifesaver at times and we’re going to list some of the best antivirus software of 2018. In 2018, there’s not just one single threat on the world wide web. There’s all sorts of malware, ransomware, adware, trojans and many other types of varied threats that now lurk around the net. Also, malware now evolves faster than ever. Without the protection of an up to date software, these zero-day attacks can take hold of your PC easily. Good Antivirus software is capable of stopping such zero-day attacks. If you’ve heard about the dangerous Wannacry ransomware and wondered how can you stay safe, then a good antivirus is the first step. So without further ado, here’s a list. 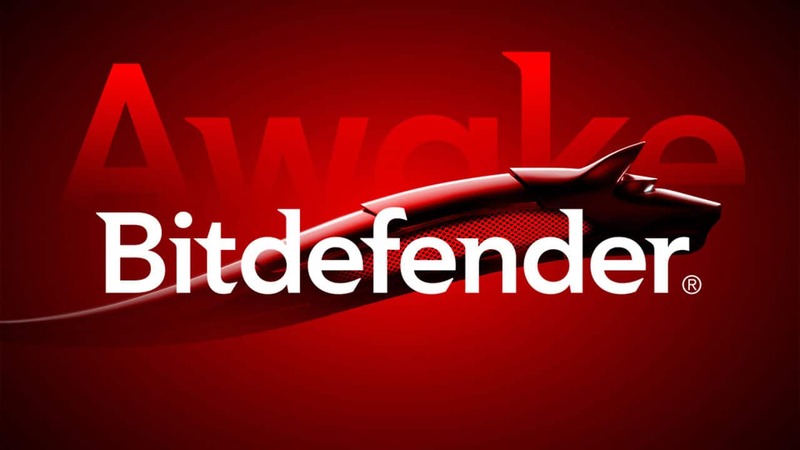 BitDefender has an impressive antivirus engine which is lauded by many testers. It is one of the most accurate trackers around. A single package will get you web filtering, anti-phishing module, a secure browser, and a password manager. Bitdefender 2018 also has an anti-ransomware defence. Moreover, snooping attempts from hackers via the webcam will fail as it comes with Webcam Protection feature. It is a bit resource heavy and lacks a few features of the Total version. BitDefender Total Security comes with firewall, parental control, antispam, and file encryption. All this does come at a price though as the Plus package costs $39.99 for a year’s subscription. Web filter saves you from malicious sites. Anti-phishing alerts you to malicious links. Secure browser can be helpful to do transactions. The thing which Kaspersky does well consistently are core essentials of online security. It is among the best at finding malware and erasing it from the system. It focuses on web filtering and blocking fishy URLs. Its threat detection engine is also amongst the best around. It is a top-rated software on AV-Comparatives. Kaspersky Total Security lacks a dedicated ransomware protection module though. 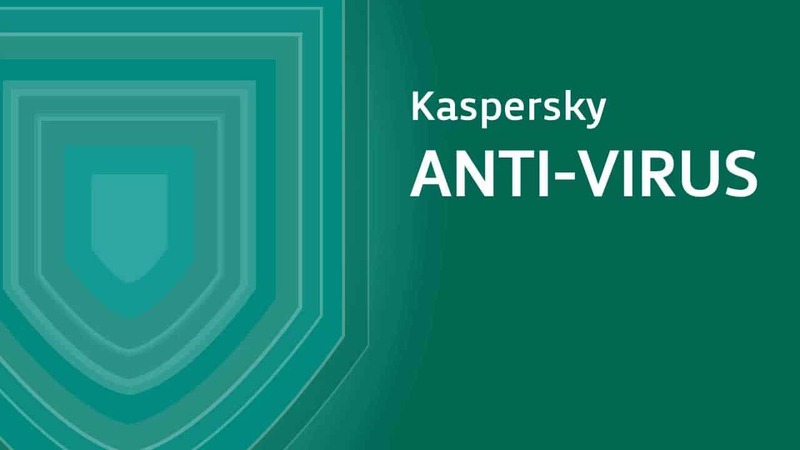 Kaspersky has been in the antivirus game long enough to make an easy to use interface. It should be easy for beginners too. It costs $29.99 for a year and supports three devices. There’s a Security Cloud version as well that also comes with all the features plus a patented adaptive security tech. This basically automatically adjusts and advises you the best settings suiting your current style of use. 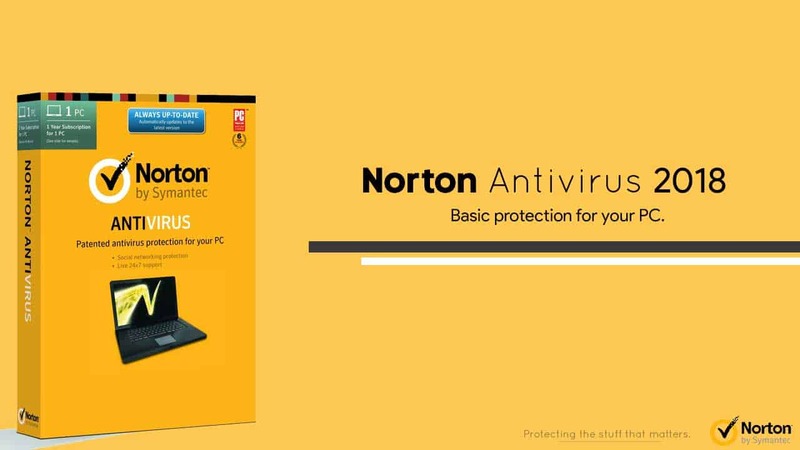 Norton is another name well known on the antivirus software front. This particular package from the company can work completely on its own. And if you’re an expert who needs precise controls, those are there too. Being an old player in the game, Norton’s malware detectors are as reliable as they get. More importantly, it doesn’t eat up your resources which is crucial for an antivirus software. There’s a Deluxe version as well that comes with all the bells and whistles. But the basic version costs much less too. McAfee‘s scanner is an award-winning software that is up there with the best in the market. However, it comes armed with more than just that. Total Protection comes with Intel’s TrueKey password manager. It supports face and fingerprint authentication. The WebAdvisor tool keeps an eye over all online malicious actions as well as downloads. It is backed by an anti-spam module that will keep the Inbox clean. There’s a File Lock that protects important files from trojans and ransomware and a vulnerability scanner too. This periodically scans the system files and cleans them. 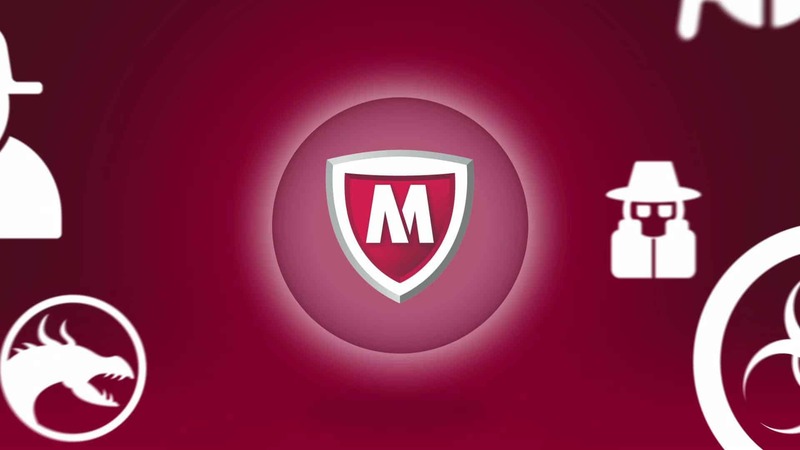 McAfee LiveSafe and McAfee Total Protection are both compatible with mobile devices. Protection on macOS and iOS not as full-featured as on Windows and Android. 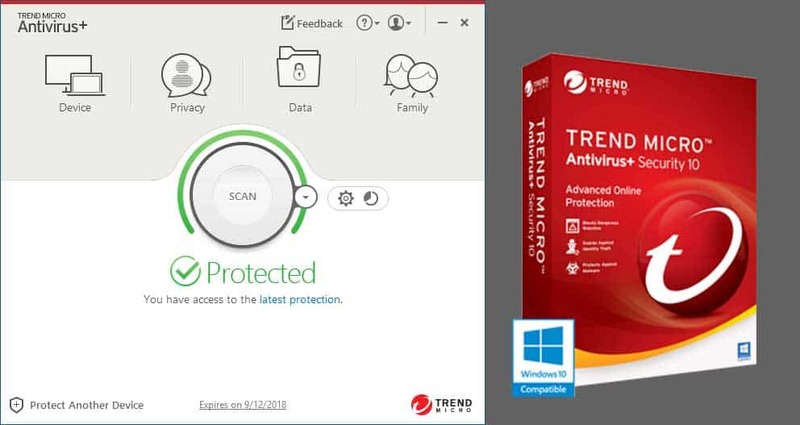 Trend Micro is one of the oldest cybersecurity companies. This package above offering real-time malware protection comes with some extras. It has a Folder Shield that secures your files from ransomware. Trend Micro also checks your social media settings to see if there can be a potential privacy breach. And if you’re always pestered by advertisers (who isn’t), this package doesn’t give them your tracks. Other bonus features are PC Health check and Data Theft Prevention facility. Some tests suggest it is system heavy. But you can always go for a test drive before buying. Spam filter is very accurate. Doesn’t come with a system vulnerability scan. 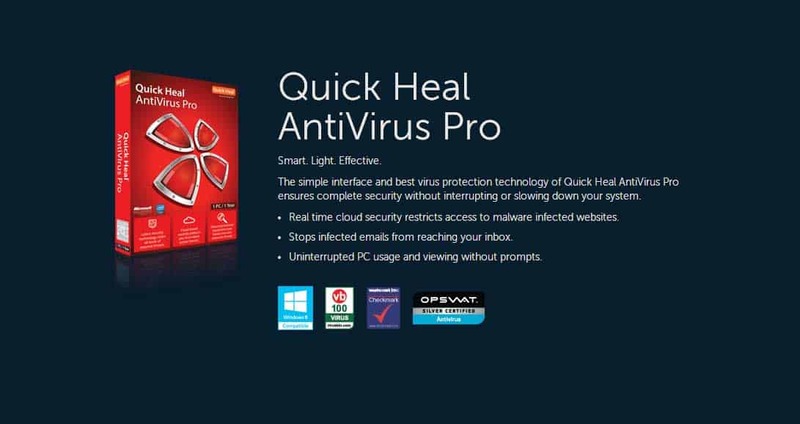 QuickHeal also comes with the standard malware protection. It is advertised as a potent solution against malware. There isn’t a huge feature list here. But what essential things QuickHeal does, it does well. There’s just not enough power or functionality to justify the price. If you’re someone who likes granular controls over your PC security, then ESET NOD32 is for you. The package focuses on the core fundamentals of security and doesn’t come with the extras. For example, you won’t find a file shredder here, nor any password manager. Instead, you’ll find real-time malware protection, an anti-ransomware layer, exploit protection, URL filtering and so on. The interface isn’t user-friendly per se but this isn’t meant for the average user anyway. ESET NOD32 now has a new feature called UEFI scan that secures your PC from threats that target your system before Windows has started. It is a bit heavy for the pocket though. Cons: It’s a bit expensive. Also Read: Top 7 best Torrent clients to download torrents. Avira is an attractive top-draw option that can give the others here a run for their money. It focuses on your machine’s performance. Its system scanner has a myriad of options including scans for processes and even rootkit action. Users can set priorities as well which is not available in even paid versions. Then there’s Avira Cloud Protection as well. Any unknown files can be sent to the cloud to get it verified automatically. It also comes with a VPN, a free but uninstalled Scout Browser, and software updater. Panda’s antivirus is not feature-packed it seems at first glance. And it is true up to a point but you’re getting it for free. Also, it does the essential job at hand well. The interface is light-weight and minimalistic. Real-time scanning as well as manual scans, protection from external malware like USBs and the like. Also, it’s got a unique Process Monitor that lists the background tasks in order of their threat. 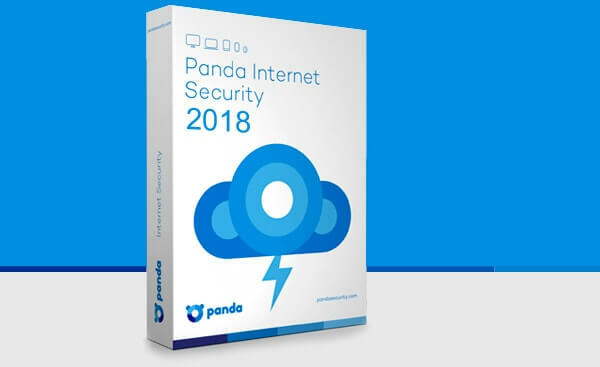 Panda can also block new programs from running until they are confirmed threat free from the cloud. F-Secure is another highly-rated antivirus that comes loaded with all the cutting-edge features. It is one of the best rated on AV-Comparatives as well as other sites. With it, you can expect protection from malware, trojans, ransomware, and spyware. A big drawback of F-Secure is that it doesn’t have automatic USB scanning. However, you can manually run scans on it. Moreover, as soon as new files are found, the antivirus kicks in and starts its work. Some testers have reported it to be heavy for the system. F-Secure isn’t compatible with mobile devices but F-Secure SAFE is. Android blog writer, foodie, avid football player, traveller, likes to tinker with smartphones. Is Windows Defender Enough or you need 3rd Party Antivirus?